And still she loved the raftsman because he was so bold. The lady held the horses while the raftsman battled sore. It wasn’t out of love but it was from dread and fear. And how gallantly they fight for their rights and liberty. A few months ago I came across a remarkable series of blog posts by folklorist Stephen Winick about the ballad “Arthur McBride” – the one that was so beautifully rendered by Paul Brady on the iconic Andy Irvine and Paul Brady album in 1976 and at this videotaped 1977 performance. 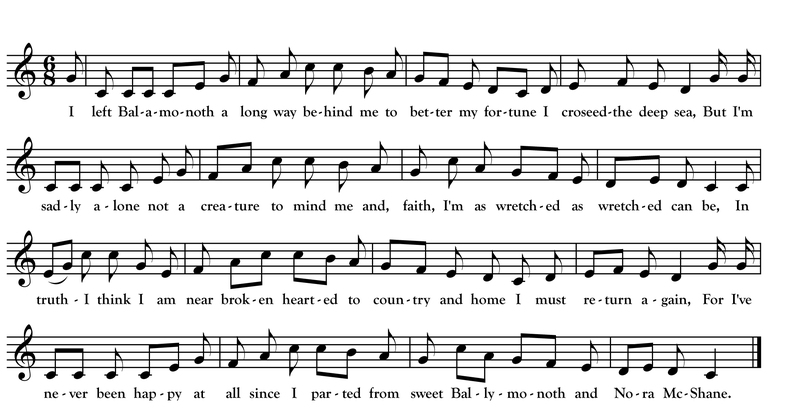 Writing on the American Folklife Center’s Folklife Today blog, Winick tells us that Brady learned the song while living in New England, from a collection compiled by Carrie Grover of Gorham, Maine. Grover (1879-1959) was a singer herself who got most of her repertoire (which appears in her collection A Heritage of Songs) from her parents while growing up in Nova Scotia and Maine. 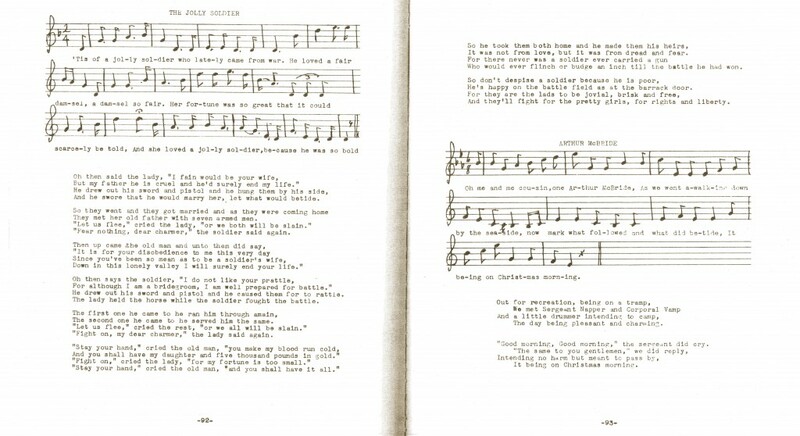 She was part of the north woods singing tradition and that makes Brady’s “Arthur McBride” a northwoods song! What’s more, if you open Grover’s book to the Arthur McBride page, the facing page is her father’s version of “The Jolly Soldier”—also arranged and performed by Paul Brady on the album with Andy Irvine! 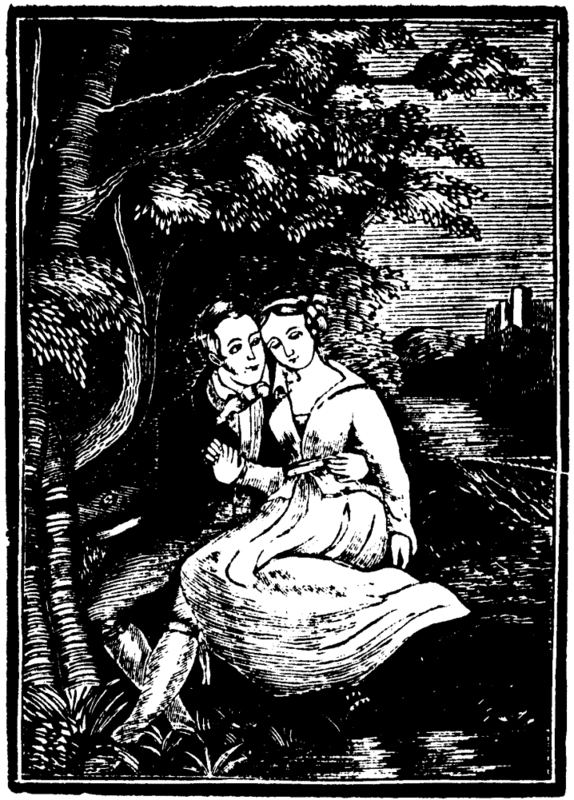 “The Jolly Raftsman” and the first part of “Arthur McBride” as they appear in Carrie Grover’s book A Heritage of Songs. 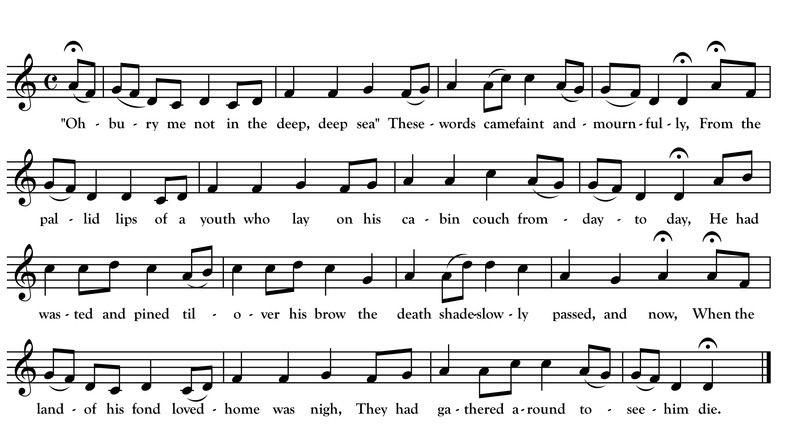 When I discovered the Grover-Brady connection, my mind went to an interesting song text collected in Wisconsin and published in Wisconsin Lore by Robert E.Gard and L.G. Sorden. 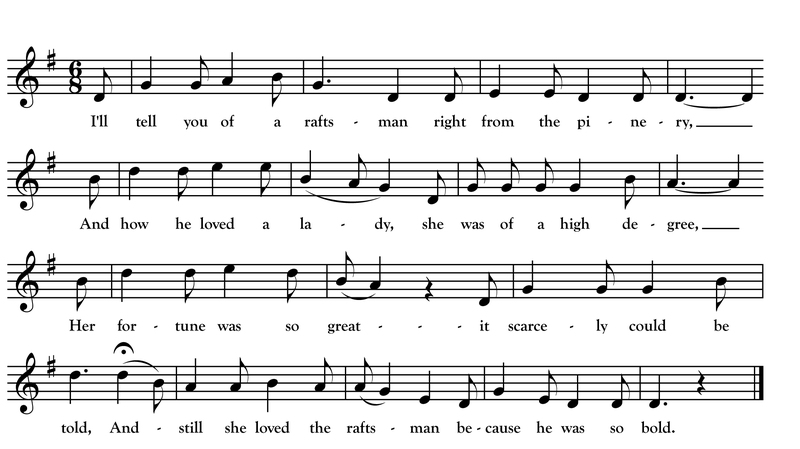 Gard and Sorden’s “The Raftsman” is basically a version of “Jolly Soldier” with Raftsman swapped in for Soldier. It seems a little out of place for someone going down the river with a raft of logs to be packing both a sword and pistol but the character of the recklessly romantic hero does fit with the way raftsmen often portrayed themselves in other songs. Above I have paired the Gard/Sorden text (with a few small changes) with the melody (more or less) as published by Grover. For my own sung version, I swapped out the sword and pistol for the raftman’s trusty pike and peavey.